a dazzling new makeover. Wowza! 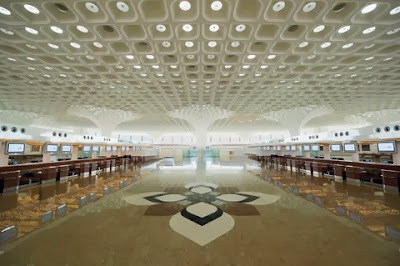 The terminal’s design, by New York-based architects Skidmore, Owings and Merrill, was inspired by India’s national bird, the peacock. Traces of the motif are found in the giant columns and marble flooring. The venue will also be home to the world’s largest public art program, with over 7,000 artworks featured along a 2-mile long wall. To read more about this, please link here.